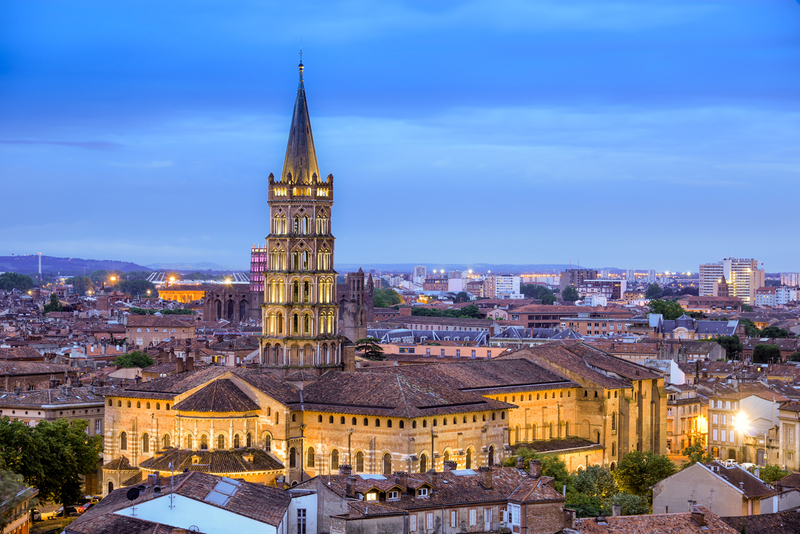 The largest Romanesque church in France, this monumental gem listed as World Heritage by UNESCO has welcomed pilgrims for centuries along the Way of St James. 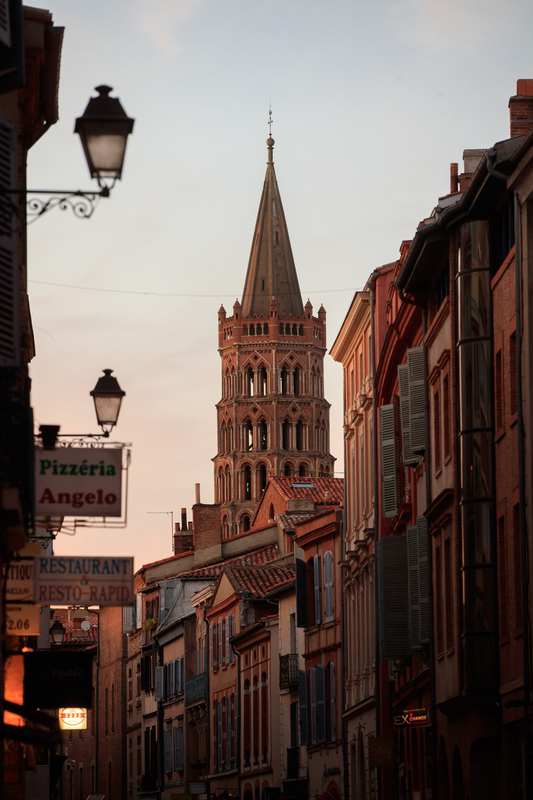 One of the symbols of Toulouse, this basilica of brick and stone is certainly imposing. 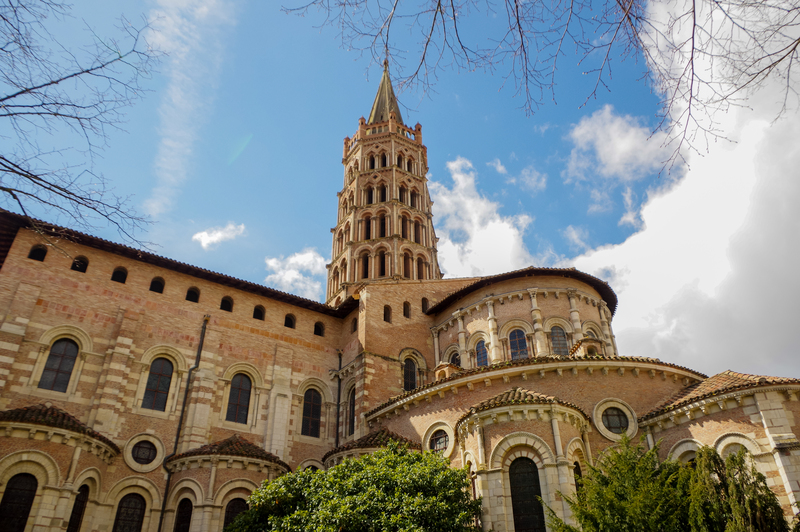 Majestic and luminous, it was built between the XI and XIV Centuries in honour of St Saturnin (or Sernin), the first bishop of the city. An important stop along the pilgrimage route to Santiago de Compostela, it inspires reverence and its vast proportions are ideal for strolling past the numerous reliquaries. 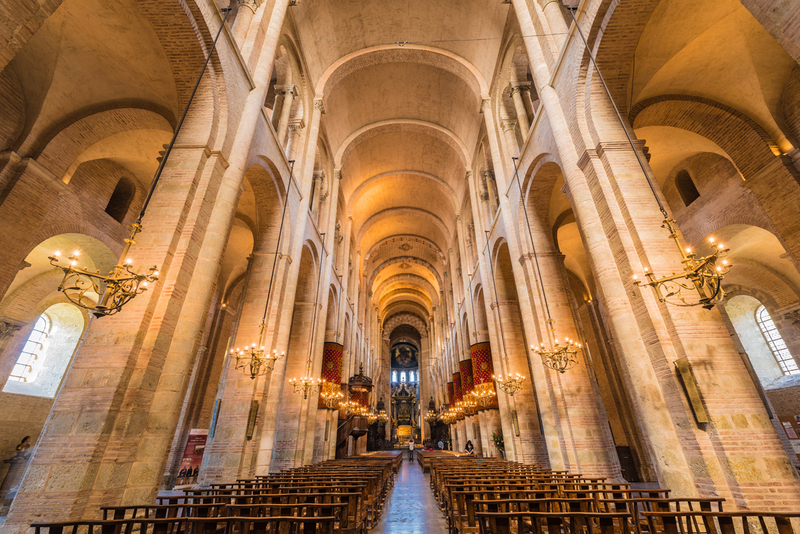 A 21 metre high nave whose barrel vault rests upon richly sculpted capitals leads you to the choir and its gold-plated wooden and marble canopy. 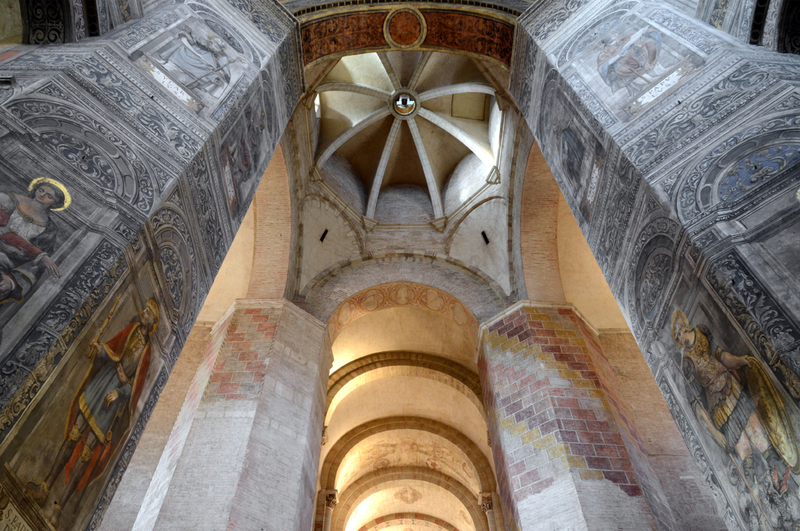 In the richly decorated transepts you can discover some moving medieval frescoes. You can also access the crypts in which it is possible to admire, most notably, the enamel reliquary of the True Cross in the form of a sarcophagus.